Avenue. The first Maison Blanche department store was built on the site in 1883. Photo ca. 1864.
remains today. Photo ca. 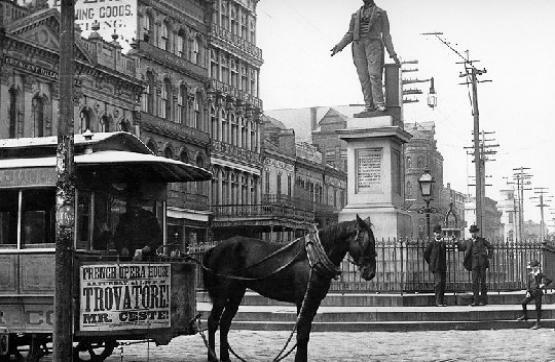 1864.
for Trovatore at the French Opera House on the streetcar; early 1890's. club has occupied on Canal Street). Photo ca. 1890's. Lafayette Park, where it's been since 1900.
as well as, current photos, to Wikimedia Commons.